This custom 650B trail boss sports 2.1’ tires front and rear for maximum trail control. 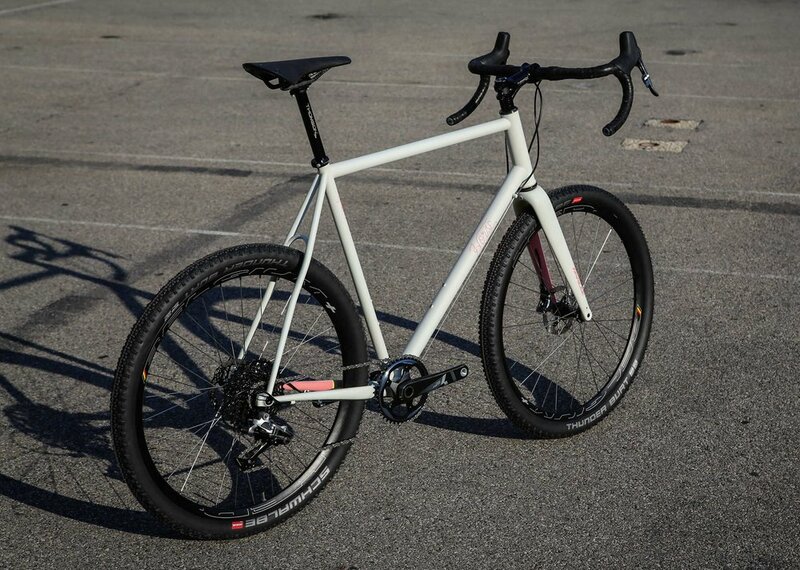 A custom machine built for the bay area trail systems that span from dry hard pack to fogged in mud bogs. 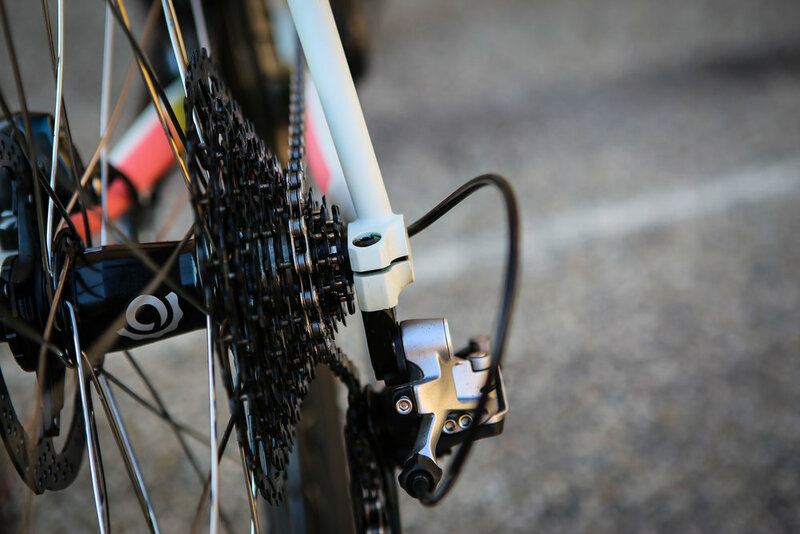 Utilizing flat mount Rear disc mounts and the syntace dropout system, we shaved weight while giving un-compromised performance. 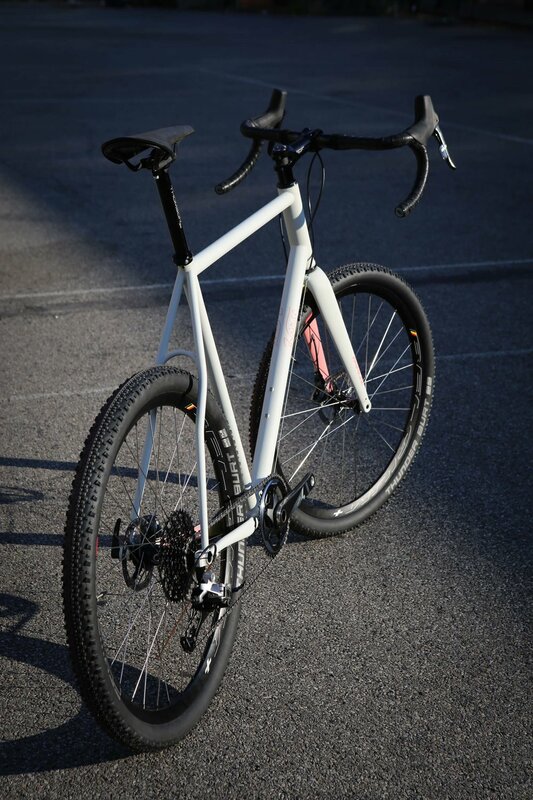 The build includes the Easton EA70 AX flared adventure handlebars and a custom wheel set built from Belgium plus rims laced to Industry Nine mountain hubs, Thomson stem, seatpost and a White Industries t47 bottom bracket. 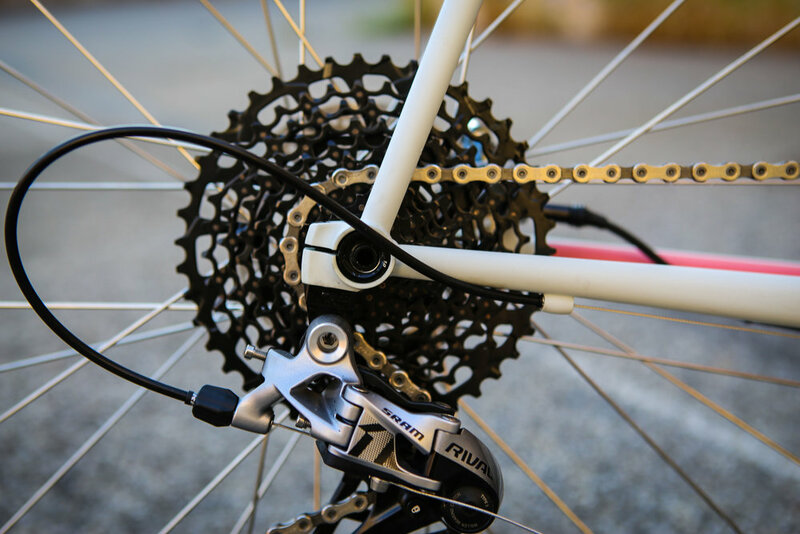 The drive train, SRAM Force, has a 1:1 gear ratio with 42 up front and a 42 tooth rear climbing ring out back. It also sports some nice paint from Ben Falcon at the Horse Cycle Paint shop. 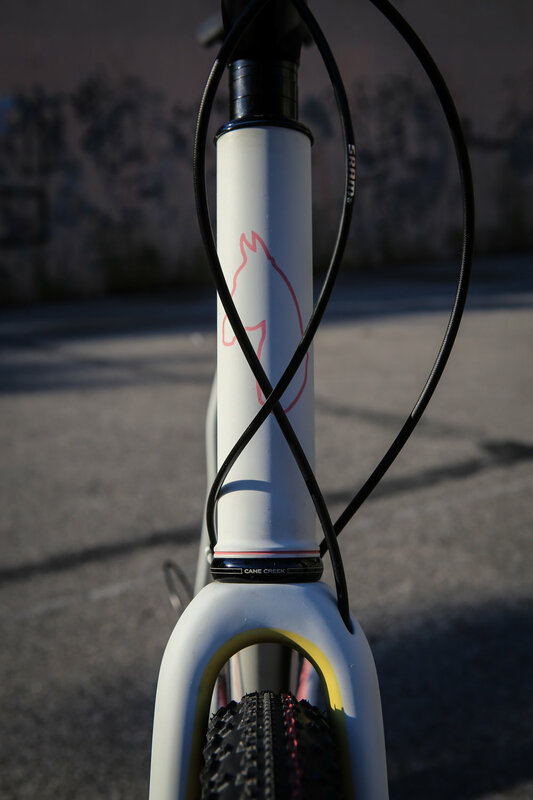 Some color flair on the inside of the fork and chainstays and a overall heavy matt clear coat over a pale gray base. She’s a looker!